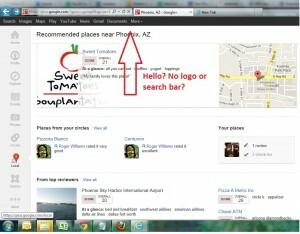 Everyone needs reviews for their business and Google has decided to merge Google Places into Google+ Local. Because this is very important for local and small businesses, we decided to have some instructions made for our clients. The only advice I can give is do not try this in Internet Explorer 9. 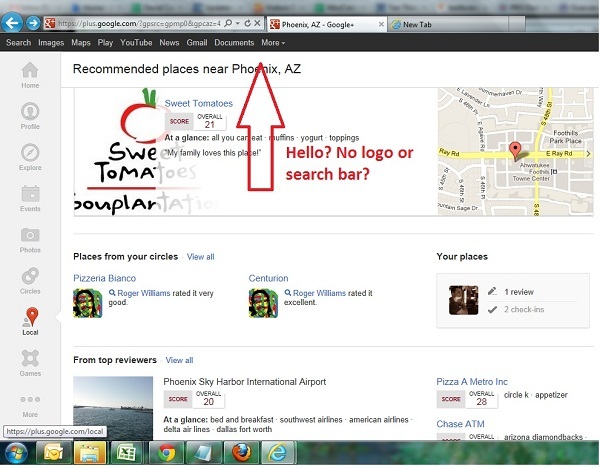 One of the instructions asks you to use the search bar at the top of the page to find our business and as you can see from the screen shots below that the Google+ logo and the search bar is getting clipped in IE9. I did use the Google+ feedback system so we’ll see if it gets corrected. Love you Google, you’re awesome! 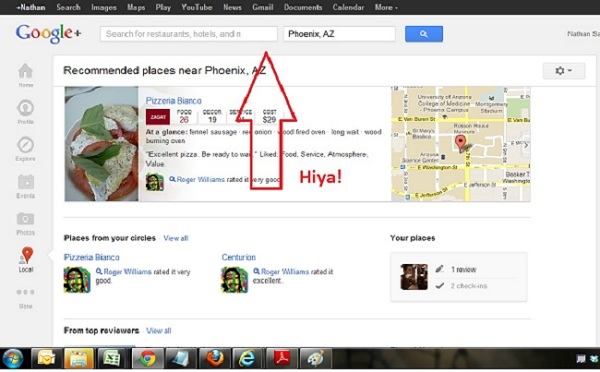 Does this mean Google is going to start crowd-sourcing their results? Are they waving the white flag and admitting they can’t get rid of spam and asking for every user’s opinion? Seems like this is a can of worms they should be wary of opening. 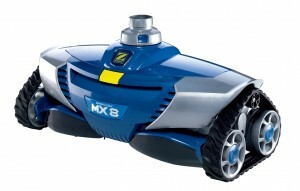 The Zodiac Baracuda MX8 is one of the best pool cleaning robots I’ve ever used. Our pool has a waterfall and many different size steps and the MX8 makes everything look easy. The MX8 is powered by the suction from your pool vacuum and has intelligent navigation capabilities. When the MX8 hits our pool waterfall it stops, backs up, and continues in a different direction. One of the coolest things I’ve seen with the MX8 so far is that it will literally crawl all the way up the side walls of the pool until it hits the top of the water then it will back up and clean back down the wall. I have yet to see this robot get stuck where it needed help. I’ve never seen a cleaning robot that cleans and moves as efficiently as this one, it’s highly recommended! The MX8 looks like it has quite a few parts that can go bad but from everything I’ve read, Zodiac makes fine equipment and offers very good service through any of their retail partners like Leslie’s Pools here in Arizona. I needed to get a part for the MX8 as I needed to replace one of the fly wheels inside the unit. Leslie’s Pool supplies has a good selection of replacement parts for the Zodiac Baracuda MX8, if they don’t have it they can order it for you. If you are looking for a list of available parts for any of the Baracuda line of cleaners, here is a link to the Zodiac site: Baracuda Pool Cleaner Parts List.